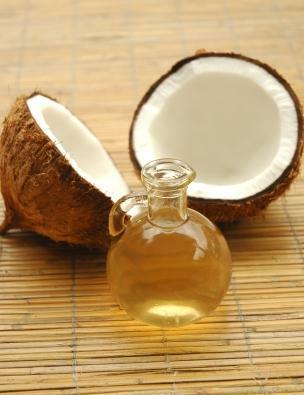 Coconut oil was once considered an unhealthy oil because of its high saturated fat content. Newer studies, however, have actually found that coconut oil does not do any damage to your heart or cholesterol levels. In fact, it actually has several other health benefits as well. In addition to being a great tasting addition to many recipes and a non-dairy alternative for spreading on bread, coconut oil has many surprising health benefits. Researchers have found that coconut oil is the highest vegan source of medium chain triglycerides. Half of these are made up of the most important fatty acid used to maintain the immune system, known as lauric acid. Coconut oil has a similar percentage of lauric acid to human milk. No other vegetable is known to have lauric acid. Cancer: Coconut oil has been found to help slow tumor growth while encouraging weight gain in colon cancer patients. Free radicals: A study involving rats has found that the antioxidants in coconut oil help slow free radical damage. HIV: The Monolaurin in coconut oil has been shown to be an anti-viral capable of reducing the viral load in patients with HIV. Measles: Monolaurin is also effective at reducing the viral load of measles, helping patients recover faster. Herpes simplex: Coconut oil is able to deactivate the herpes simplex virus, which may help reduce viral loads and reduce occurrences. Influenza: Coconut oil can kill the influenza virus, which may help with a faster recovery or with prevention. Staph and other bacteria: In addition to be an anti-viral, coconut oil is also antibacterial, killing staph and other bacteria. Since medium chain fatty acids are sent straight to the liver by the body, they are quickly metabolized and used for energy. Other fats circulate through the bloodstream and settle in the unwanted areas. Coconut oil, made up largely of medium chain fatty acids, actually helps to promote weight loss by speeding up the metabolism. GNC carries 15 ounce containers of Nutiva Organic Extra Virgin Coconut Oil. The Vitamin Shoppe offers one of the best values for coconut oil, selling 15-ounce containers for under $10. Walmart carries Spectrum organic coconut oil in 14-ounce jars. Drugstore.com carries Nature's Way EfaGold Coconut Oil in 16-ounce containers. In order to see these benefits and others, you should ingest about four tablespoons full of organic virgin coconut oil every day. The health benefits of coconut oil are many, and more are being discovered all the time. It is not a magical cure-all, though. While it can help guard against illness and work with the body's natural healing abilities, it does not work overnight. Always discuss your health concerns and issues with your doctor or other health care practitioner. If you are on medications, don't make changes without asking your pharmacist or doctor.